Shop L.A. 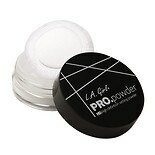 Girl Pro.Powder HD.High-Definition Setting Powder Translucent (.17 oz. ).17 oz.